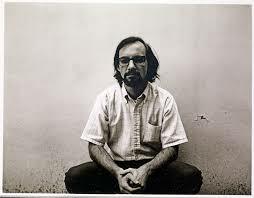 I won an Alan Jutzi Fellowship from The Huntington--Who is Alan Jutzi anyway? I knew nothing about the man last year when I applied for a Huntington fellowship named in his honor. I still knew nothing about him when I won The Alan Jutzi Residential Fellowship for Non-Traditional Scholars in its inaugural year. My first reaction was "Yahoo!" 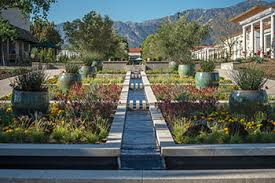 a month of supported research at the beautiful Huntington Library in San Marino, where researchers have the privilege of walking the world-class gardens at lunchtime. Given the unprecedented nature of this fellowship, I wanted to know more about Alan Jutzi. So I called Jennifer A. Watts, curator of photography at The Huntington. Jutzi hired Watts 25 years ago, and she wrote a blog about him upon his retirement. 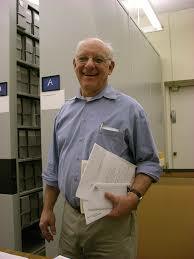 I learned from Watts that Jutzi, the former chief curator of rare books, is beloved by colleagues and researchers. When he announced his retirement, the idea for a non-traditional fellowship was floated and he loved the idea. "He has a free, open, and generous spirit. He is a lifelong learner and is not restricted by disciplinary boundaries," said Watts. In other words, his interests are not limited by his title, and his desire to help people pursue ideas is not restricted by academic pedigrees. To raise money for the fellowship, his colleagues circulated manila envelopes to staff and sent letters to readers and affiliate organizations. "The fundraising was like stealing money from a baby. Everyone loves Alan and people want to honor him," said Watts. The Huntington announced the fellowship in 2016. 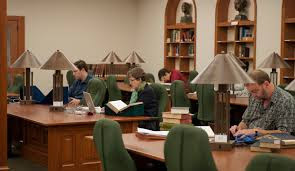 The annual fellowship offers up to two months of research support to an independent scholar that isn't tied to a university. It is open to writers, journalists, planners, architects, collectors, independent scholars, librarians, and others. 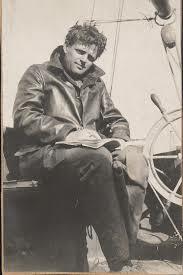 Jack London was famous for writing about distant seas and exotic places. He sailed the world as a deckhand, a journalist, a celebrated author, and a captain. He learned about sailing and adventuring as a teenager, and his training ground was the San Francisco Bay. The San Francisco Bay is the largest Pacific estuary in the Americas and it offers an advanced degree for sailors. Fed by five rivers, its mountain-born currents swirl around islands and inlets, and its tides flush in and out of the Pacific Ocean at the Golden Gate. In London's time, a teenage boy could turn to the estuary for a taste of the same rough weather and rough men that he would meet on the open sea and at distant ports. London said that as a young man he was drawn to this "free floating life of the bay, the domain of moving adventure, and the companionship of real men." London leaned into that life like a mainsail meets the wind, and the experience helped him to become one of the most popular writers in the world. Though he traveled the globe, London said that he had found himself on the bay as a youth, and as a man was "wedded to 'Frisco Bay. As I dive into a sea of materials at The Huntington to explore London's relationship to 'Frisco Bay, I am certain that Jutzi's generosity of spirit and dedication to new ideas will help me to keep the creativity vessels wide open.